Asia Infotech is a major provider of technical services in Ahmedabad whose clients include some of the biggest names in the fields of engineering. Since the very beginning, the professionals working under Asia Infotech have been combining innovation with practicality to present their clients with cutting edge services that have in turn boosted their market presence. They are also known for delivering advanced mechanical drafting and designing services that are used by clients in numerous industries. Asia Infotech is one of India’s most well known provider of technical solutions and their expert services are used by companies operating in numerous fields. Since 2009 when they first came into business, Asia Infotech has been helping companies within engineering sectors with their reliable technical support services. They are particularly good at providing mechanical design services that are used by different clients within industries like oil and gas, petrochemicals, process industry, water and waste water treatment. Mechanical design and mechanical drafting services are widely used by companies associated with product designing as well as building of HVAC systems. Without the optimum design plans, it would never be possible for the builders and engineers to come up with better products that allow them to have an edge over their competitors. The experts at Asia Infotech make use of special software programs to carry out mechanical 3D modeling and mechanical 2D drafting tasks which play crucial roles in the mechanical designing process. Whether it is creating new sketches from the design data, developing architectural schematics and structural designs or making multilayer CAD drawings, the experts at Asia Infotech can do all with the highest professional ease. 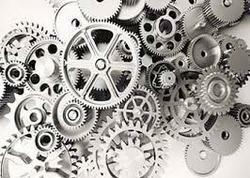 Asia Infotech is one of the finest services providers in the realm of mechanical drafting. Their mechanical design and drafting solutions are used by companies operating within the oil and gas, petrochemical and waste water treatment industries. All of their services have been praised widely for their effectiveness and quality.